THIS IS A LEGAL AGREEMENT BETWEEN YOU AND B2BNEWS AGENCY BVBA/SPRL TRADING UNDER THE NAME OF NEWMOBILITY.NEWS. PLEASE READ THIS AGREEMENT CAREFULLY. BY DOWNLOADING AND/OR USING ANY TEXTS, PHOTOGRAPHS, ILLUSTRATIONS, VIDEO-CLIPS/FOOTAGE OR OTHER CONTENT (HEREINAFTER “THE CONTENT”) YOU AGREE TO BE BOUND BY THE TERMS AND CONDITIONS OF THIS AGREEMENT. IF YOU DO NOT AGREE WITH THE TERMS AND CONDITIONS OF THIS AGREEMENT DO NOT DOWNLOAD OR USE ANY CONTENT CONTAINED IN THIS SITE. ALL RIGHTS ON THE CONTENT INCLUDED IN THIS SITE ARE OWNED BY GOPRESSMOBILITY AND/OR ITS LICENSORS OR CONTENT PROVIDERS AND ARE PROTECTED BY COPYRIGHT LAWS AND INTERNATIONAL TREATIES ON INTELLECTUAL PROPERTY. 1.1 By the present Comping License, NEWMOBILITY.NEWS grants to you, for a period of thirty (30) days from the date of download (“the Term”), a non-exclusive, non sub-licensable, non assignable and non-transferable right to use the Content you have selected solely for internal evaluation and/or to create preliminary layouts and comps to determine whether the Content is appropriate for the intended use. 1.2 You may only make one copy of the Content into your personal computer. If, before the end of the Term, you don´t obtain an appropriate License for the intended use, you will have to cease the use of the Content at the end of the Term and permanently delete/destroy any copy of the Content supplied to you under the terms of the present Agreement. 2.1.1 use the Content in any final materials including but not limited to, advertising, marketing, editorial materials or any other commercial application, regardless of whether any remuneration is involved. 2.1.2 sub-license, distribute or make available for use or distribution, by any means, the Content, whether in whole or in part. 2.1.3 except as specifically provided in this Comping License, share or copy the Content for example by including it in a disc library, image storage jukebox, network configuration or other similar arrangement. 2.1.4 place and distribute the Content in any online or other electronic distribution system in a downloadable format (except that you may transmit comps digitally or electronically to your clients for their review). 2.1.5 use the Content for any pornographic, unlawful purpose or use or to defame any person or violate any person’s right of privacy or publicity or to infringe upon any copyright, trade name, trademark or service mark of any person or entity. 2.1.6 use the Content outside the parameters of use stated in Section 1 above. 3.1 NEWMOBILITY.NEWS warrants that: i) it has all necessary rights and authority to enter into and perform this Comping License Agreement; ii) any digital copy of the Content to be free from defects in material and workmanship for ninety (90) days from delivery. Your sole and exclusive remedy for a breach of this warranty is the replacement of the defective digital copy of the Content. NEWMOBILITY.NEWS MAKES NO OTHER WARRANTY, EXPRESS OR IMPLIED REGARDING ANY CONTENT, OR ANY RIGHTS OR LICENSES UNDER THIS AGREEMENT INCLUDING, WITHOUT LIMITATION, THAT THE CONTENT IS ERROR FREE, THE IMPLIED WARRANTIES OF MERCHANTABILITY, TITLE AND FITNESS FOR A PARTICULAR PURPOSE. 3.3 THE REPRESENTATIONS AND WARRANTIES MADE BY NEWMOBILITY.NEWS IN THIS AGREEMENT APPLY ONLY TO THE CONTENT AS DELIVERED BY NEWMOBILITY.NEWS AND WILL BE INVALID IF THE CONTENT IS USED IN ANY MANNER NOT SPECIFICALLY AUTHORIZED IN THIS AGREEMENT. 4.1 Should any provision of this Agreement be found invalid, illegal or unenforceable in any respect, the validity, legality and enforceability of the remaining provisions shall not be affected and shall remain in full force and effect. If you are unsure of your rights under this License Agreement or would like to acquire additional rights (or additional seat licenses), please contact us at +32 475 43 91 22 or send us an email at info@newmobility.news. THIS IS A LEGAL AGREEMENT BETWEEN YOU AND NEWMOBILITY.NEWS. PLEASE READ THIS AGREEMENT CAREFULLY. BY DOWNLOADING AND/OR USING ANY CONTENT (AS THIS TERM IS DEFINED IN THE DEFINITION SECTION OF THIS AGREEMENT) FROM THIS SITE, YOU AGREE TO BE BOUND BY THE TERMS AND CONDITIONS OF THIS AGREEMENT. IF YOU DO NOT AGREE WITH THE TERMS AND CONDITIONS OF THIS AGREEMENT DO NOT DOWNLOAD OR USE ANY CONTENT CONTAINED IN THIS SITE. IF YOU ARE ENTERING INTO THIS AGREEMENT ON BEHALF OF YOUR EMPLOYER AND/OR PRINCIPAL, YOU HEREBY REPRESENT AND WARRANT THAT: I) YOU HAVE FULL AND EXPRESS AUTHORITY TO ENTER INTO THIS AGREEMENT ON BEHALF OF YOUR EMPLOYER AND/OR PRINCIPAL; AND THAT: II) SUCH EMPLOYER AND/OR PRINCIPAL HAS AGREED TO BE BOUND BY THE TERMS HEREBY; III) THAT THE VISUAL CONTENT AND ANY FINAL WORK (END-USE) INCLUDING THE CONTENT IS ONLY FOR THE BENEFIT OF EMPLOYER OR PRINCIPAL AND THAT YOU WILL NOT USE ANY CONTENT OBTAINED FROM NEWMOBILITY.NEWS FOR THE BENEFIT OF ANY OTHER PERSON OR ENTITY WITHOUT ENTERING INTO A SEPARATE LICENSE WITH NEWMOBILITY.NEWS; AND IV) YOU WILL COMPLY WITH ALL THE TERMS HEREOF AND SHALL BE JOINTLY AND SEVERALLY LIABLE FOR ANY BREACH OF THE TERMS OF THIS AGREEMENT BY YOUR PRINCIPAL AND/OR EMPLOYER. ALL THE CONTENT IS COPYRIGHTED AND ALL RIGHTS TO THE CONTENT IS OWNED BY NEWMOBILITY.NEWS AND/OR ITS LICENSORS AND CONTENT PROVIDERS. NEWMOBILITY.NEWS RETAINS ALL RIGHTS NOT SPECIFICALLY GRANTED TO YOU BY THIS AGREEMENT. YOUR RIGHT TO USE ANY CONTENT IS SUBJECT TO YOUR FULL PAYMENT OF THE LICENSE AND THE RESTRICTIONS SET FORTH IN THIS AGREEMENT. 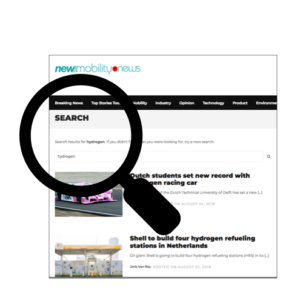 1.1.1 NEWMOBILITY.NEWS: means B2BNews Agency bvba/sprl as supplier and licensor of the Content. 1.1.2 Client: means the person or entity who requests and receives the Content and to whom, where applicable, the Content is licensed. 1.1.3 Delivery Memo: means the document issued by NEWMOBILITY.NEWS, listing all the Content supplied to the Client. 1.1.4 Editorial Use: means the use of the Content relating to events that are newsworthy or of public interest and identified as such on the NEWMOBILITY.NEWS website and expressly excludes any advertorial sections (i.e. sections or supplements in relation to which the Client/Final Client receives a fee from a third-party advertiser or sponsor). 1.1.5 End-Use: means the final work product created by the Client or Final Client which incorporates a Reproduction of the Content, as authorized hereunder. 1.1.6 Final Client: means, where applicable, the person or entity on whose behalf the Client requests and licenses the Content. 1.1.7 Content: means the content which may consist in texts, photographs, illustrations, video-clips/footage or other content, whether generated optically, electronically, digitally or by any other means which is licensed by NEWMOBILITY.NEWS to the Client/Final Client under the present Agreement. 1.1.8 Invoice: means the document issued by NEWMOBILITY.NEWS which shall include, without limitation, a list of the Content selected, the license granted to the Client or Final Client, the corresponding fee for such license and the payment terms. 1.1.9 Reproduction: means any form of copying or publication, of the whole or part, of the Content by any means whatsoever. Reproduction also includes any distortion or manipulation, of the whole or part, of the Visual Content and the creation of any derivative work from, or that incorporates, the Visual Content. 1.1.10 Rights Managed Content (RM Content): means the Content whose use is subject to the Rights Managed Licensing Terms, as set out in Section III herein. 1.1.11 Royalty Free Visual Content (RF Visual Content): means the Visual Content whose use is subject to the Royalty Free Licensing Terms, as set out in section IV herein. 1.1.12 User: means any employee or subcontractor of the Client or Final Client who downloads, manipulates, edits, modifies or saves the digital file containing the Visual Content and is otherwise directly involved in the creative process utilizing the Visual Content; or incorporates the Visual Content within any derivative work. 2.1 Before supplying any Rights Managed Visual Content for Reproduction, the Client must provide NEWMOBILITY.NEWS with all the required information regarding the intended use. 2.2 The Content is supplied on LOAN and NO property or copyright in any Content shall pass to the Client or Final Client on its submission or on licensing of the Content. 2.3 Unless NEWMOBILITY.NEWS is otherwise notified in writing by the Client, within 48 hours of receipt of the Content, all Content received shall be considered to be suitable and appropriate and in perfect condition. 2.4 Upon termination or expiration of the license for the use of any Rights Managed Content, the Client shall cease any and all use of it and promptly erase or destroy any reproducible copies of the same. 2.5 Client must retain the copyright symbol, the name of NEWMOBILITY.NEWS, the Content’s identification number and any other information as may be embedded in the electronic file containing the original Content. Client shall maintain a robust firewall to safeguard against unauthorized third-party access to the Content. 2.6 The following credit line is required for any editorial use of any Visual Content “©: “[Photographer’s name]/[Name of the collection]/[BelgaImage]” or “© [BelgaImage]” if no other name is mentioned with the Visual Content. For commercial uses, you shall include the credit described above when customary and appropriate. 3.1 Unless otherwise specified in the Invoice, the RM Content is licensed on a non-exclusive basis and is strictly limited to the use, medium, period of time, print run, placement, size of image, territory, language and any other restrictions specified on the Invoice, which is incorporated into the present Agreement by this reference, and as incorporated together with the present terms constitutes the full license granted. 3.2 Unless otherwise stated in the Invoice, all licenses on the RM Content are non-exclusive and granted for a single publication, single size, single territory, in one single language, and for a term of one (1) year from the date the applicable Invoice is issued. All rights not specifically granted to the Client are reserved. 3.3 The license granted on the RM Content to the Client is non-transferable and non-assignable and may not be transferred or assigned to anyone without the prior written authorization of NEWMOBILITY.NEWS. This means that any work that the Client produces using the RM Content must be for the Client’s own use or for the use of its direct employer or client, who must be the end-user of its work (Final Client) and as long as all relevant data pertaining to any such end-user is clearly stated in the Invoice for having been provided to NEWMOBILITY.NEWS prior to licensing. Notwithstanding the foregoing, the rights to use and reproduce the RM Content may be exercised by subcontractors of the Client/Final Client for preparation of the End-Use, provided that such subcontractors agree to abide by the terms of this Agreement. 3.4 The RM Content cannot be used for any of the purposes listed in Section V of this Agreement. 3.5 The license fee on the RM Content depends on the nature of the rights granted; therefore the Client undertakes to obtain an additional license before undertaking any expanded use of the RM Content. 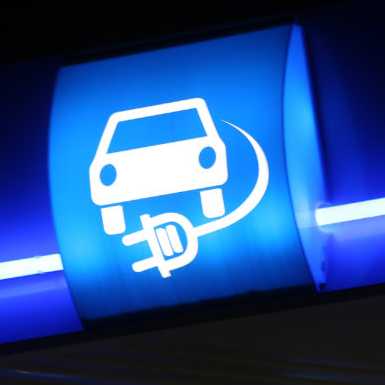 3.6 The RM Content which is restricted to Editorial Use may not be used for any commercial, promotional, endorsement, advertising or merchandising use without the prior written authorization of NEWMOBILITY.NEWS. 3.7 The RM Visual Content restricted to Editorial Use may be cropped or otherwise edited for technical quality, provided that the editorial integrity of the Licensed Material is not compromised, but shall not, under any circumstances, otherwise be altered. 3.8 The Client may only make one (1) high-resolution backup copy of the RM Visual Content for security purposes only and therefore shall not make any other additional high resolution copy of the RM Visual Content without the prior written authorization of NEWMOBILITY.NEWS. 4.1 The license granted on the RF Visual Content is a perpetual, non-exclusive, non-transferable, non-sublicensable worldwide right to Reproduce the RF Visual Content identified in the Invoice an unlimited number of times in any and all media for all purposes other than those uses prohibited in this Section and under Section V of this Agreement. 4.2 The Client who purchases a license may have the RF Visual Content Reproduced by subcontractors of Client for preparation of the End-Use, provided that such subcontractors agree to abide by the provisions of this Agreement. 4.3 The Client may not, without obtaining the prior written consent of NEWMOBILITY.NEWS and the payment of an additional license fee: (i) include the RF Visual Content in an electronic template intended to be Reproduced by third parties on electronic or printed products; or (ii) use or display RF Visual Content on websites or in any other medium involving the sale, license or other distribution of “on demand” products where the primary value of the product resides in the RF Visual Content itself including, without limitation, postcards, mugs, t-shirts, calendars, posters, screensavers or wallpapers on mobile telephones, or similar items. 4.4 The Client may store the RF Visual Content in a digital library, network configuration or similar arrangement to allow the RF Visual Content to be viewed by its employees, contractors and Final Client, so long as there are no more than ten (10) Users. Client must purchase additional seat licenses if there are more than ten (10) Users before such additional use begins. 5.1.1 for any pornographic, unlawful purpose or use or to defame any person or violate any person’s right of privacy or publicity or to infringe upon any copyright, trade name, trademark or service mark of any person or entity. Advance written permission from NEWMOBILITY.NEWS is required for use of any Content for sensitive subjects, including without limitation, topics that may depict the subject matter of the Content in a negative or unfavourable light. 5.1.2 used as or form part of a logo, trade name, service mark or trademark or used to infringe on anyone’s logo, trade name, service mark or trademark. 5.1.3 to sell, license or distribute any derivative work containing any Content (End-Use) in a way that would allow a third party to download, extract or access the Content as a stand-alone file. 5.1.4 to be used in a way to allow or invite a third party to download, extract or access the Content as a stand-alone file. 6.1 Unless NEWMOBILITY.NEWS expressly states otherwise in writing, and given that the Client and/or the Final Client are the only parties apprised of the specific context in which the Content shall be used, the Client hereby acknowledges that the license granted by NEWMOBILITY.NEWS does not include a license to, and NEWMOBILITY.NEWS makes no warranties or representations that it licenses any rights related to any person depicted in the Content, nor NEWMOBILITY.NEWS can guarantee to be in possession (or the validity or effectiveness and scope if applicable) of the necessary authorizations from the persons depicted in the Content for the intended use of the Content. The same shall apply with regard to the authorizations that may be required for the use of names, brands, logos, entities or corporation which may also appear in the Content. 6.2 Also, unless otherwise agreed in writing, and given that the Client or the End-User is the only party privy to the specific context in which the Visual Content shall be used, NEWMOBILITY.NEWS neither transfers nor guarantees that it possesses any exploitation rights to the designs and works of art (e.g. architectural works), that may appear reproduced in the Content. Therefore, when the license is granted to reproduce the Content, the reproduction being authorized pertains solely to the Content, independently of any rights that may correspond to the copyright holders of the work appearing in said Content. 6.3 Unless otherwise agreed in writing, NEWMOBILITY.NEWS shall not undertake to obtain the authorizations referred to in previous paragraphs 6.1 and 6.2, whereby the Client and/or the End-User must be the ones responsible to obtain such authorizations, if necessary. Therefore, the Client and/or the End-User shall be solely responsible to third parties for the use of the Content, therefore holding NEWMOBILITY.NEWS absolutely harmless to that end. 6.4 NEWMOBILITY.NEWS shall not be held liable for any conflict that may arise as a result of any digital or analogue manipulation of the Content, incorrect, improper or unauthorized use of the Content, such as, for instance, those that serve to illustrate texts or contexts (of any kind, including advertising and commercial ones) that may harm the rights or interests of persons, companies, corporations, etc, and, in particular, when they may be considered slanderous, defamatory or infringing on third party rights, or otherwise illegal. 7.1 The Client is responsible for ensuring that all information appearing on the Invoice is true, accurate and complete. 7.2 All license fees are exclusive of any applicable sales or other transactional taxes, which are the sole responsibility of the Client (if any). 7.3 A late payment charge of one and one-half percent (1.5%) per month or the highest amount allowed by law shall be applied on any unpaid balance after the due date for payment stipulated on the Invoice. The maximum amount permitted by state law shall be imposed on each returned check. 8.1.2 an amount up to 50% of the license fee may be credited, if the request is received between 8 and 30 days of the Invoice date. 8.2 After thirty (30) days of the Invoice date, no cancellations will be accepted on the Content and the full amount invoiced must be paid. 9.1 NEWMOBILITY.NEWS warrants i) any digital copy of any Visual Content to be free from defects in material and workmanship for ninety (90) days from delivery and ii) it has all necessary rights and authority to enter into and perform this Agreement. The Client’s sole and exclusive remedy for a breach of this warranty is the replacement of the defective Visual Content. NEWMOBILITY.NEWS GRANTS NO RIGHTS AND MAKES NO WARRANTIES WITH REGARDS TO THE USE OF NAMES, TRADEMARKS, TRADE DRESS, DESIGNS OR WORKS OF ART OR ARCHITECTURE DEPICTED IN ANY VISUAL CONTENT, AND YOU MUST SATISFY YOURSELF THAT ALL THE NECESSARY RIGHTS AND CONSENTS REGARDING ANY OF THE ABOVE, AS MAY BE REQUIRED FOR THE INTENDED USE HAVE BEEN OBTAINED. WHILE NEWMOBILITY.NEWS MAKES EFFORTS TO USE ACCURATE CAPTION INFORMATION, NEWMOBILITY.NEWS DOES NOT WARRANT THAT SUCH INFORMATION IS ACCURATE. NEWMOBILITY.NEWS MAKES NO OTHER WARRANTY, EXPRESS OR IMPLIED REGARDING ANY CONTENT INCLUDING, WITHOUT LIMITATION, THAT THE CONTENT IS ERROR FREE, THE IMPLIED WARRANTIES OF MERCHANTABILITY AND FITNESS FOR A PARTICULAR PURPOSE. 9.2 EXCEPT FOR ANY LIABILITY WHICH CANNOT BY LAW BE EXCLUDED OR LIMITED, NEITHER NEWMOBILITY.NEWS NOR ANY NEWMOBILITY.NEWS SUBSIDIARY, SUCCESSOR, PARENT, AFFILIATE, PARTNER, OFFICER, DIRECTOR, EMPLOYEE, CONTENT PROVIDER, LICENSOR, DISTRIBUTOR OR AGENT SHALL BE LIABLE FOR ANY DAMAGES, OR LOSS OF PROFITS OR ANY OTHER DAMAGES, COSTS OR LOSSES ARISING OUT OF THE USE OR INABILITY TO USE THE CONTENT OR OTHERWISE. 9.3 THE REPRESENTATIONS AND WARRANTIES MADE BY NEWMOBILITY.NEWS IN THIS AGREEMENT APPLY ONLY TO THE CONTENT AS DELIVERED BY NEWMOBILITY.NEWS AND WILL BE INVALID IF THE CONTENT IS USED IN ANY MANNER NOT SPECIFICALLY AUTHORIZED IN THIS AGREEMENT. 10.1 NEWMOBILITY.NEWS hereby informs the Client that any personal data that is provide to NEWMOBILITY.NEWS for the purposes of servicing the Client, which may include, but is not limited to, personal data of the Client’s representative or any other individual which may be required to fulfil this Agreement. 10.2 This information will be processed and controlled by NEWMOBILITY.NEWS and used for internal purposes only and more particularly to fulfil licensing transactions, maintain the Client’s account and send marketing communication to inform the Client of new products or services or for promotional purposes to send the Client updates on our latest promotions and offers. 10.3 By making this information available to NEWMOBILITY.NEWS the Client is agreeing to allow us to share this information with NEWMOBILITY.NEWS partners, subsidiaries, affiliates, any third party content provider, necessary payment processors or third parties whose services are required to carry out Client’s order. We also reserve the right to disclose the Client’s personal information if required to do so by law or in order to comply with any legal process. 10.4 The Client represents and warrants to NEWMOBILITY.NEWS that, prior to disclosing to NEWMOBILITY.NEWS any personal data of any individual required to fulfill this Agreement (other than the individual who accepts this Agreement in his/her name and on his/her behalf), the Client shall notify this individual of: i) his/her disclosure of his/her personal data to NEWMOBILITY.NEWS for the purposes specified in the present Agreement, ii) the personal data which is being disclosed in this regard and; iii) NEWMOBILITY.NEWS identity and address. The Client accepts and agrees to indemnify and hold harmless NEWMOBILITY.NEWS for their failure to comply with this obligation. 10.5 The Client may, at any time, access, correct, update or require us to delete his personal data by sending a petition by e-mail to the attention of our legal department at info@newmobility.news or by regular mail to the following address: B2BNews Agency, Anderveldstraat 22, 3190, Boortmeerbeek, Belgium. 11.1 Any use of any Content in a manner not expressly authorized by/or in breach of the present Agreement constitutes infringement of copyright, entitling NEWMOBILITY.NEWS to exercise all rights and remedies available under applicable copyright and other laws. 11.2 The Client agrees to indemnify and hold harmless NEWMOBILITY.NEWS and its content providers, officers, directors, employees, contractors, subsidiaries, partners, affiliates, licensors and distributors or agents against all claims (including without limitation, claims by third parties), liability, damages, judgments, settlements, costs and expenses, including reasonable legal fees and expenses, arising out of or related to i) the Client’s breach of any terms and conditions or restrictions of the present Agreement (including any terms, conditions and restrictions included on the Invoice); ii) the Client’s use or modification of the Content or the combination of any Content with any text or other Content; iii) Client’s failure to obtain from third parties all necessary permissions to use the Content; and iv) any unauthorized use of the Content. 12.1 Should any provision of this Agreement be found invalid, illegal or unenforceable in any respect, the validity, legality and enforceability of the remaining provisions shall not be affected and shall remain in full force and effect. Such provisions shall be revised only to the extent necessary to make them enforceable. 13.1 This Agreement contains all the terms of the license agreement for the Visual Content and no terms or conditions may be added or deleted unless made in writing and signed by an authorized representative of both parties. In the event of any inconsistency between the terms contained herein and the terms contained on any purchase order or other communication sent by you, the terms of this Agreement shall govern. No action of NEWMOBILITY.NEWS, other than an express written waiver, may be construed as a waiver of any provision of this Agreement. A delay on the part of NEWMOBILITY.NEWS in the exercise of its rights or remedies will not operate as a waiver of such rights or remedies, and a single or partial exercise by NEWMOBILITY.NEWS of any such rights or remedies will not preclude other or further exercise of that right or remedy. A waiver of a right or remedy by NEWMOBILITY.NEWS on any one occasion will not be construed as a bar to or waiver of rights or remedies on any other occasion. 14.1 This Agreement and all matters collateral thereto shall be governed by and construed in accordance with the laws of Belgium, excluding the application of its conflicts of law rules, and any dispute arising hereunder shall be litigated solely in a court of competent jurisdiction in Brussels, Belgium. 14.2 This Agreement shall not be governed by the United Nations Convention on Contracts for the International Sale of Goods, the application of which is expressly disclaimed.